As many of us just celebrated St. Patrick’s Day and all things Irish, we thought it would be a good time to revisit an Irish legend and its unexpected connection to modern day genetics. Originally published on October 27, 2016. Genetics is usually advertised as a science that impacts the future – the future of healthcare, the future of cancer therapy, etc. But it’s also the biological science that most closely links us to the past, through the DNA passed down from our ancestors. In Ireland, where the past is filled with mythical legends of giants, genetics gives us a clue into the true history that inspired these legends. 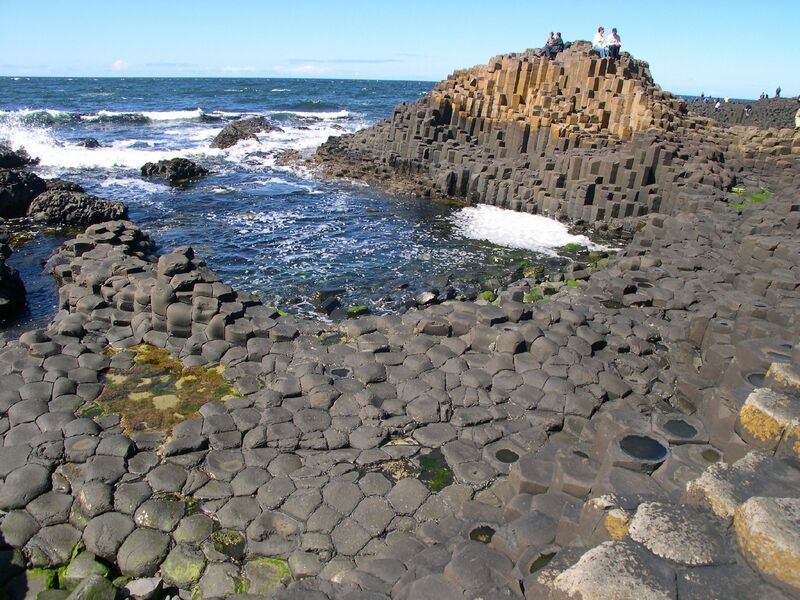 The Giant’s Causeway is a beautiful formation of hexagonal basalt columns on the coast of Northern Ireland and the source of one such legend. A famous Irish giant named Fionn mac Cumhaill supposedly built the structure as a bridge to Scotland, but decided to abandon it when he met the terrifying Scottish giant Benandonner. 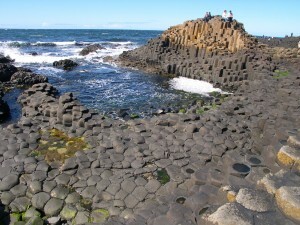 Instead, Fionn fled home to Ireland and smashed the bridge behind him to prevent Benandonner from crossing, leaving only the base of the bridge and the tower of basalt columns shown below. Marta Korbonits, a researcher in the Department of Endocrinology at the Queen Mary University of London, grew up on legends of Fionn. Dr. Korbonits’s clinical specialty is pituitary tumors, which can lead to gigantism in humans if not diagnosed in time. When an Irish family with an inherited form of pituitary tumor and gigantism came to Dr. Korbonits for a diagnosis and treatment, she realized that there may be a link between the legends and the genetics. 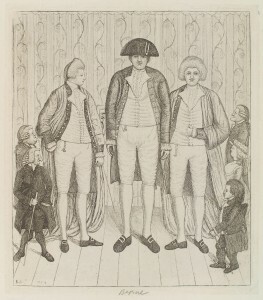 She hypothesized that the same gigantism-causing mutation, present in this Irish family, was a common mutation in people throughout Irish history. Dr. Korbonits looked at the genetic sequences of several Irish families with inherited pituitary tumors and gigantism and found the same mutation across these families. But to link it to the past, she needed a much older sample. 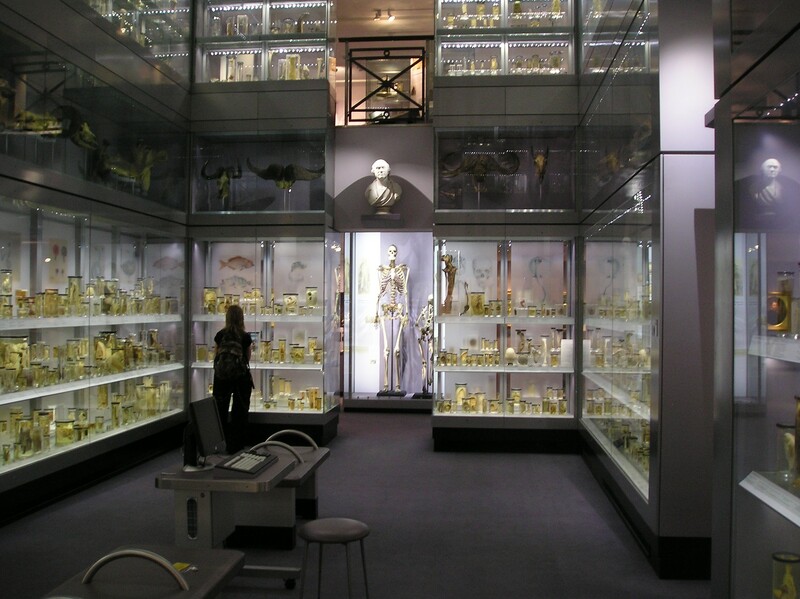 She found the perfect sample in the Hunterian Museum of London– a place where strange anatomy specimens were kept and examined by John Hunter, the founder of modern surgery. In the museum was the skeleton of Charles Byrne, a 7’7” Irish giant from the 18th century. Dr. Korbonits petitioned the museum and was allowed to take two teeth from the skeleton to use for DNA analysis. 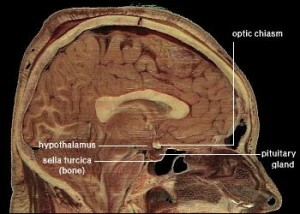 With this sample, she was able to prove that the same pituitary mutation caused Byrne’s gigantism and that he was most likely a distant relative of the present-day Irish family that had started the study. Genetics ties together the past, the present, and the future – in this case, the Irish legends of giants, a 7’7” tall circus performer from the 18th century, and a family with a history of pituitary tumors. It’s amazing to think that the man who inspired the Irish legend had one little mutation that caused his gigantism, and that the mutation was passed on across Ireland, still existing today!